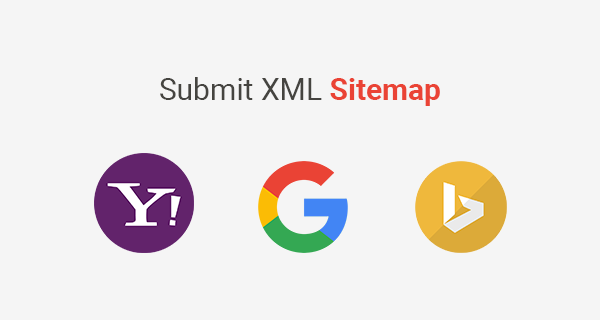 How to Submit XML Sitemap to Google, Bing, and Yahoo? Blog » SEO » How to Submit XML Sitemap to Google, Bing, and Yahoo? Looking for a way to submit a sitemap to Google, Bing, Yahoo, and Yandex? Submitting an XML sitemap is an important step in the SEO. Although, search engine crawlers can easily find your pages through internal links or links from other websites.However, it is recommended SEO practice to submit an XML sitemap so crawlers can regularly crawl and index your website new pages. If you are using WordPress, then you can try these WordPress XML sitemap plugins to generate a sitemap. If you are using some other Content Management System (Shopify, Drupal, etc…), then you can read their documentation. You can also create an XML sitemap manually. When you are done, you can submit the sitemap using the given process. A sitemap is mostly used to tell search engines about posts and pages on a website which are available to crawl. It is a collection of URLs of pages in an XML format. Sitemaps can also be used to provide additional information such as how frequently a page gets modified, when was the last time these pages updated, and which pages are more important by giving them a priority. Step 1: Create an XML sitemap manually or through use of plugin or an extension. Step 2: copy the end URL sitemap.xml or sitemap_index_xml. It depends on which method you chose to create a sitemap. Make sure that using the complete URL you are landing on the XML sitemap. Step 3: Go to Google Search Console > Crawl > Sitemap. Enter the URL of your sitemap and press the submit button. Step 4: Refreshing the same page where you submitted your sitemap will show you how many pages submitted from your website. Google will take some time to index those pages. Step 1: Generate a sitemap and copy the URL. Login to your Bing Webmaster Tools Account. Step 2: Look for the property where you want to submit the sitemap. Step 3: Look for the option from the sidebar menu ‘Configure My Site’ and then click on Sitemaps. Here you will find a box which says submit a sitemap. You can paste your complete sitemap URL and click the submit button. Wait for a few weeks and Bing will start indexing your website’s pages. Note: Submitting a sitemap to Bing will also get crawled and indexed by Yahoo web search crawler. So, you don’t need to specifically submit a sitemap on Yahoo. I hope you find this post useful. Anyone can easily submit a sitemap to Google, Bing, and Yahoo using the above process. You can also hire me to do this for you, please check out my on-page SEO services for more details. Great article and Informational for who want to submit their blog to Bing and yahoo search Engine.Because You can Get More traffic from Bing and yahoo also instead of Google.